Cognitive Therapy is based on the philosophy that people can learn to be their own therapist. Be An Informed Consumer! Our first recommendation is the Academy of Cognitive Therapy. We have listed additional recommendations in the event you cannot find a therapist through the Academy's directory. The Academy of Cognitive Therapy: "the only certifying organization specifically for cognitive therapists that actually evaluates applicants' knowledge and ability before granting certification." Certification by the Academy is awarded to individuals who have demonstrated an advanced level of expertise in cognitive therapy. The Academy's certified membership include physicians, psychologists, social workers, and other mental health professionals from around the world. This link takes you to their home page. Click on the "Find a Therapist" link. We do not recommend searching by last name since not all therapists names show up using this method. For USA, the fastest way to search is to enter the zip code of your search area. Select 20 miles for your search range so you can select from a wider range of therapists. If you are outside the USA, select your country from the drop down list. Then click on SUBMIT. If you cannot find a CBT therapist in your area, consider calling someone who is listed in your general vicinity. They may be able to refer you to experienced CBT therapists closer to where you live. The Academy of Cognitive Therapy is a relatively new professional certification organization so many qualified cognitive therapists may not yet have completed their certification process. The Academy's Common Questions section has useful information about cognitive therapy. The Association for Behavioral & Cognitive Therapies (ABCT) is a professional membership organization of cognitive and behavioral therapists. The ABCT website has a large section of resources that explains evidence-based practice, CBT, self-help books of merit, and an updated Find a Therapist directory. To locate a therapist, use the FIND A CBT THERAPIST section. The therapists listed in their referral directory have met the requirements of membership in the organization. However, this does not mean that they have met any additional requirements for expertise in Cognitive Therapy. European Association for Behavioural and Cognitive Therapy or EABCT. Click on the country of interest. The links give you access to the membership lists of the associations that are part of EABCT. The lists are in the language of the associations, as is often also the case for the therapy you can get from their members. The Anxiety Disorders Association of America (ADAA) has some helpful questions and issues to consider when choosing a therapist. 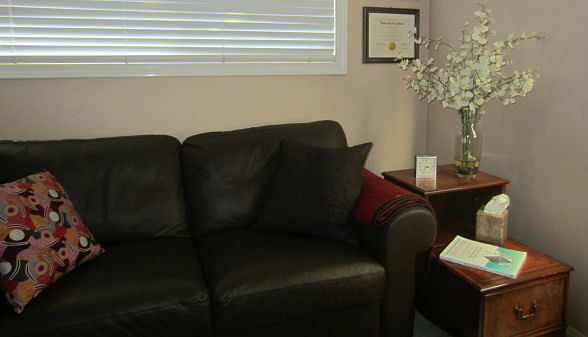 We have a CBT News article that covers tips for choosing a therapist. It features a video by Dr. Keely Kolmes, PsyD. The American Psychological Association (APA) has useful articles about psychotherapy. However, we do not recommend locating a therapist through their Find a Psychologist link since it only includes members who pay additional fees. California Psychological Association posts a Patient Bill of Rights (California). These are not legal rights but it is a listing of issues to consider and be aware of when choosing a therapist and being in therapy. Their Consumer Resources page has a drop down selection box (at top of page) that provides general information on psychology, the role of a psychologist, how to know when to see a psychologist, etc. When a therapist is licensed by the state in which they practice (USA), the consumer is afforded certain protections. A licensed therapist (PhD, LCSW, MFT) must adhere to certain state laws as well as association ethics. As a consumer, you can file complaints again the therapist if you feel your rights have been violated. For USA residents, check your state licensing board to verify the therapist's license. Use caution when considering a therapist who does not have a professional therapy license. An unlicensed therapist has no accountability for your treatment. To verify a therapist's license in the USA, use google and search for "verify [type of therapist] license [state name]. For example, "verify psychologist license California" or "verify social worker license Minnesota"
Check the About Us section. What do they tell you about who they are, their purpose, their mission. Do they provide specifics? Are they part of an organization? If all they provide is general information then you do not know with whom you are dealing. What is the process through which a therapist gets listed? Are therapists listed because they meet professional, national organization qualifications? Are there restrictions on listings (only one therapist per modality, or one therapist per geographical location). Do therapists get listed merely because they pay a fee? Payment of a fee to be listed is not in and of itself a negative (websites have expenses and it is totally proper for them to charge fees). However, if the only qualification is for the therapist to pay a fee, you as a consumer are entitled to know that and not be led to believe there are other qualifications that they met to be listed. Is their copyright information up to date? Sites who update their copyright listing tend to contain current and relevant information. If a site has an outdated copyright date, it is possible their information has not been kept current. We refer you to the Academy of Cognitive Therapy (www.AcademyofCT.org). Click on their ABOUT link. You can see the date they were founded, the mission, the names and address of the Board of Directors, and specific information about the organization. There is detailed information for consumers, information about therapist certification, information about the directory listing, and contact information that provides multiple ways of contacting them.